Our faculty is comprised of outstanding clinicians and surgeons who have received advanced fellowship training in urologic sub-specialties. I’m excited to share with you my passion for our department and our commitment to excellence in urologic care. In keeping with UF Health’s mission, we remain committed to providing outstanding patient care, conducting innovative research and training tomorrow’s leaders. With over a 60 year history, UF Urology provides a multidisciplinary approach to some of the most challenging urologic disorders by combining the expertise of physicians from many specialties within UF Health, all with the common goal of providing the best patient-centered care. Thank you for your interest in the Urology Residency Program at the University of Florida! We are excited to be considered as part of your graduate medical training! UF Urology Residency Program and Wellness Committee understands that your urology residency is the most important time in your development as a young urologist. 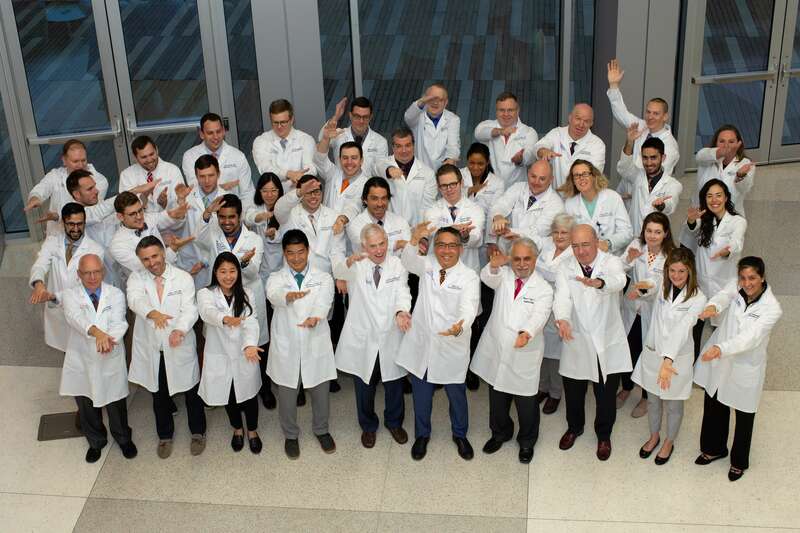 The UF Urology Endourology/Minimally Invasive Surgery Fellowship is structured to provide a focused one year experience in clinical training and research. Watch Dr. Benjamin Canales and our 2017 graduating chief residents in Carpool Chief Karaoke! We offer a comprehensive set of solutions for our patients, ranging from traditional to state-of-the-art and excellent post-surgical care. Ready to enjoy a better quality of life? Register TODAY! Ready to enjoy a better quality of life? Conversations about erectile dysfunction and male urinary incontinence. It’s not a topic most men want to discuss, yet an open conversation is the first step to finding a solution for erectile dysfunction or male urinary incontinence. Join Larry Yeung, MD for breakfast as he discusses how no two men are alike and treatment depends on the cause of the problem. According to the CDC, prostate cancer has the highest incidence of all invasive cancers in US men.